Advanced Pre-Med Studies is a challenging course and a great option for high school students who plan to study medicine. 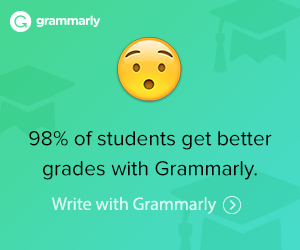 Easy-to-Use and flexible Teacher Guide helps you schedule this course. 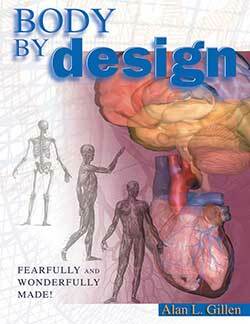 Combines Exploring the History of Medicine, Body by Design, Genesis of Germs, Building Blocks of Life Science with a Teacher Guide for a one year course. The Teacher Guide has suggested weekly schedule, quizzes, tests and answer keys. Add additional science labs at your option. 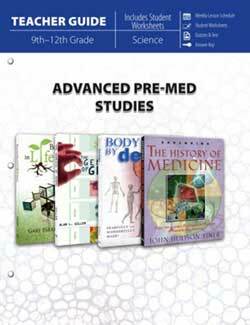 The Advanced Pre-Med Studies Package includes one of each of the following items. 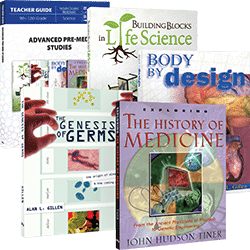 With the Teacher Guide for Advanced Pre-Med Studies, you will use The Building Blocks of Life Science, the Genesis of Germs, Body by Design, and Exploring the History of Medicine for a one-year science curriculum. 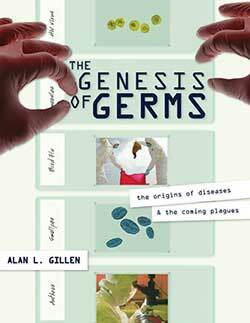 In The Genesis of Germs is a creation microbiology book. It describes microbes in a fallen world. Chapter questions and critical thinking questions are included at the end of the book. In Building Blocks in Life Science (From Genes & Genesis to Science & Scripture), your student will delve deeper into biology and God’s amazing design of life. 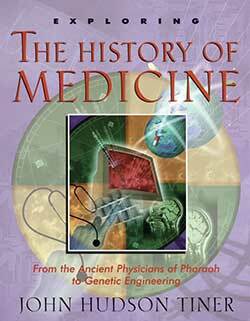 Exploring the History of Medicine takes a look at medical practices from the ancient past to the present, including biographical sketches of famous persons of medicine. Challenges students to think through the evidence—the facts as we know them today—and to consider the statistical likelihood of macro-evolution.